Other than the length, it's tough to think of many significant differences between Cataract Canyon and the Grand Canyon. Rafting through "Cat" has it all: towering red sandstone desert walls, awe-inspiring hikes through slot canyons or up to river overlooks that are otherwise only enjoyed by birds of prey, and water that ranges from miles of relaxing warm flat water to massive class IV+ big volume whitewater. This is the "real desert" - July trips often mean 100-degree air temps and 80-degree water, making Cataract Canyon the perfect place for those who want to explore the far corners of Canyonlands National Park that most don't get to see from the cooling comfort of the river - and since the place is so special, we take our time exploring it. 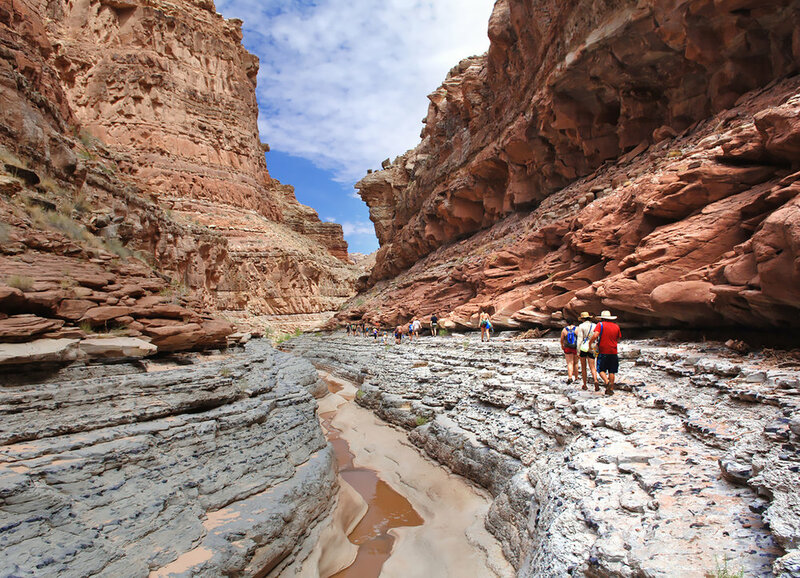 GOALS Cataract Canyon expeditions allow time to experience the best side hikes, play in the warm water of the Colorado River, and simply relax to watch the afternoon sun light up the red walls that surround us here. 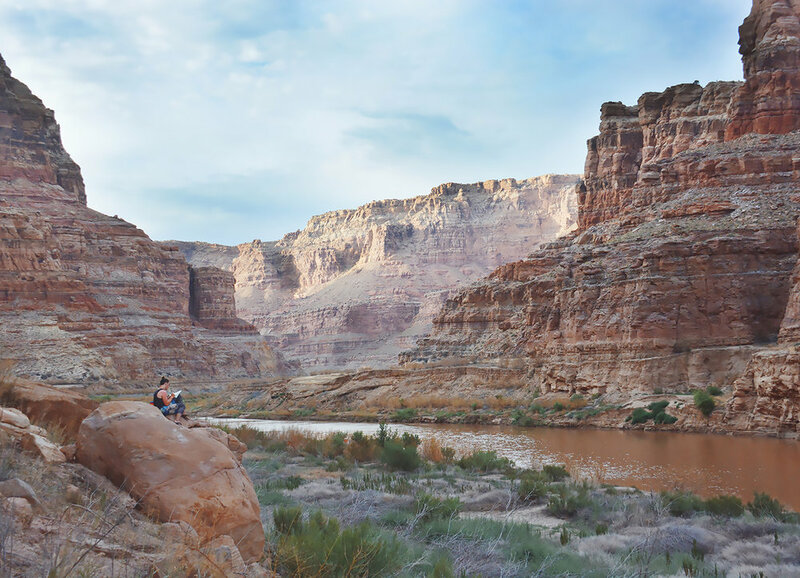 Not much has changed in Cataract Canyon since John Wesley Powell and his expedition came through here in 1869 - but commit yourself to the power of Cataract and you'll be changed forever. Day 1. Travel to Moab, Utah. Meet at 11am on day 1 at GOALS world headquarters in Evergreen, CO - please arrive with a belly full of lunch. We’ll drive about 6 hours to our campsite near Moab, UT - where we spend the night before our river launch. 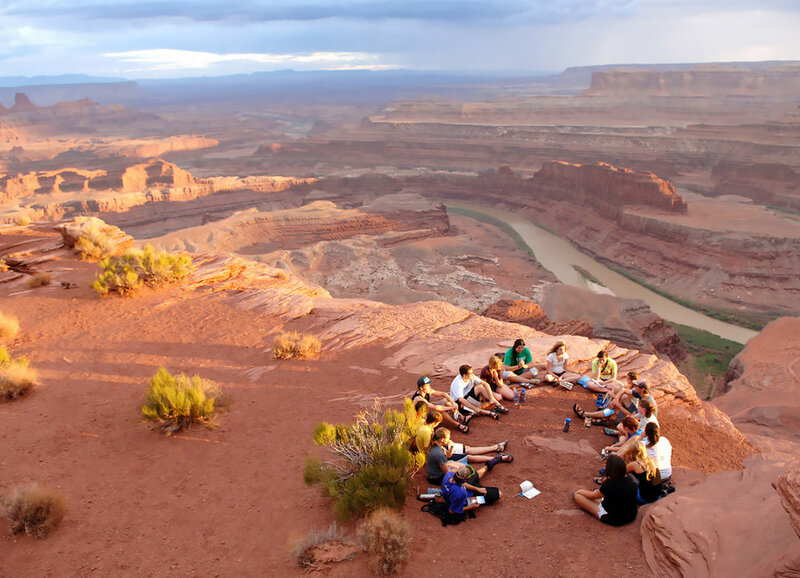 We’ll stretch our legs with some frisbee and maybe even a short hike, enjoy dinner in Moab and walk around the town a bit, then return to the campsite and begin exploring our GOALS curriculum. Day 2. River time begins. We awake early today to begin our adventure. After enjoying breakfast and packing our gear, we’ll drive to Canyonlands airfield. Here, we meet our guides and drive to our put-in south of town at Potash on the Colorado River. Following a safety orientation, we’ll help the guide team finish rigging their rafts, then launch onto the Colorado River and begin our Cataract Canyon adventure. 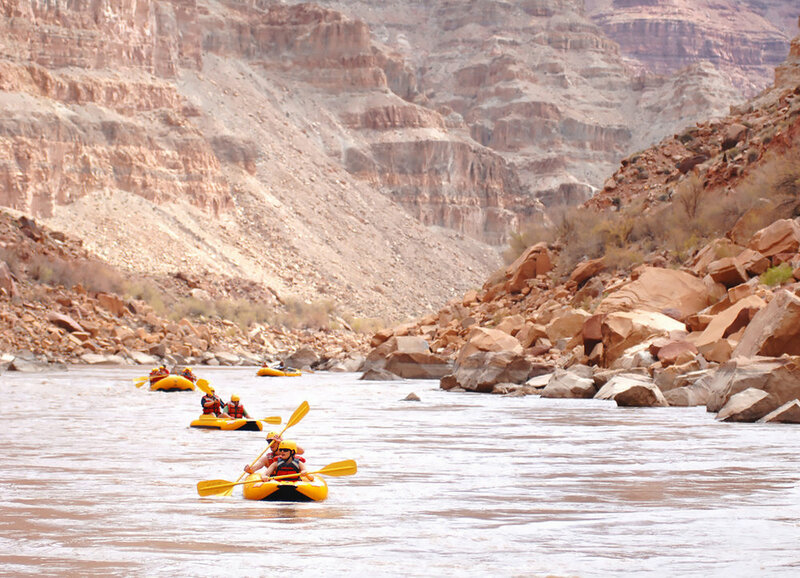 This expedition begins with a 2-day stretch of flat water that Major Powell named “Meander Canyon”. On day 2, we will float calmly below Dead Horse Point State Park (made famous in the movie Thelma and Louise) and enter Canyonlands National Park, watching for ancient native petroglyphs and granaries on the walls. Throughout the calm, early part of the expedition, we’ll take several breaks to hike through incredible side canyons to unique hoodoo rock formations, secret swimming holes, relics from early canyon exploration teams, and ancient prehistoric ruins. 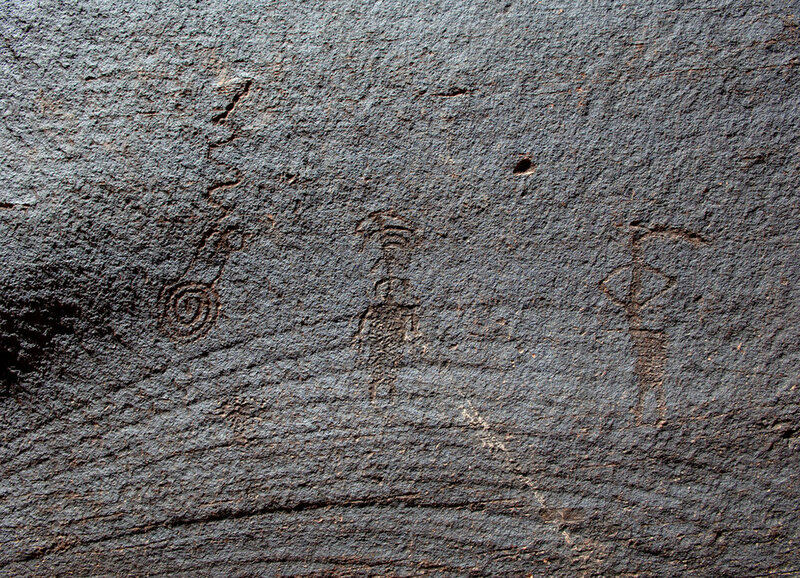 Day 2 features a hike to the Lathrop Ruins left by Native Americans and ancient pictographs of a solstice calendar that was likely used to aid in the agrarian lifestyle of the Fremont cultures who once lived here. Day 3. Indian Creek and the Loop Hike. The morning of day 3 begins with that magical moment when we open our eyes and realize that all of our previous travel has brought us to an ability to wake up on a sandy beach deep in the heart of one of the Colorado River’s most revered canyons…and that we get to repeat it for several days! 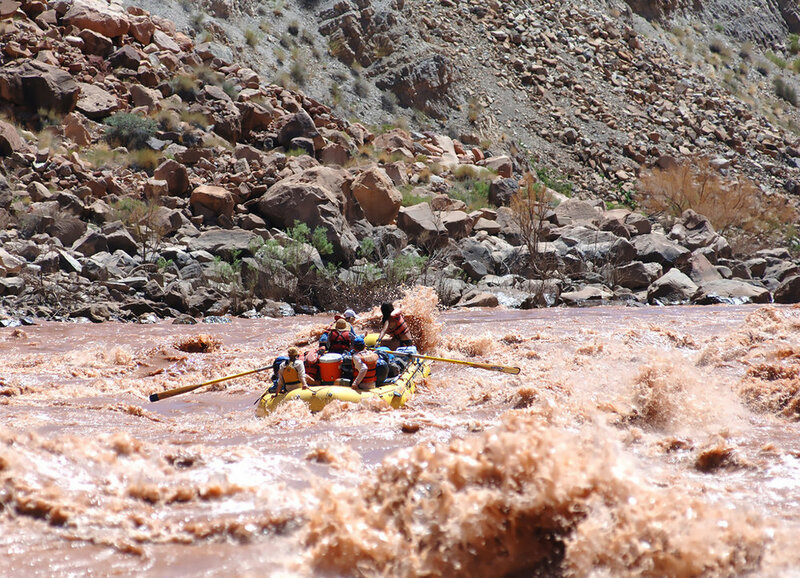 We’ll enjoy a hearty breakfast prepared by our team of guides and today’s “kitchen crew”, then head downstream - getting closer by the moment to the confluence of the Green and Colorado Rivers and the famous rapids which follow. Before we get there, we have much to explore and enjoy - on day 3, that includes exploring the fascinating Native American ruins and granaries at Indian Creek, and an enjoyable loop hike over the Goose Neck section to our rafts that will be magically be waiting for us at the end of the trail. We’ll likely camp tonight somewhere near the confluence - a place that the Ute Indians believed was the center of the universe! Day 4. Confluence and the first rapids. Today, the general “mood” of the canyon - and thus our group - will likely begin to change. 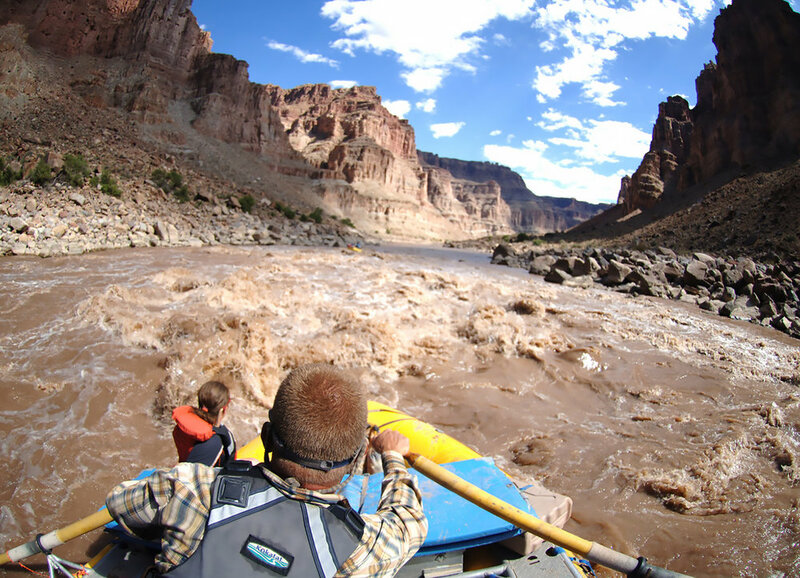 As the canyon grows deeper and narrower, with a volume that has nearly doubled thanks to the Green River, we begin to experience the exciting rapids that Cataract Canyon is famous for! On day 4, we can decide if we’d prefer to take on a significant hike (8 miles round trip with over 1,000 feet of elevation gain - most of which occurs in the first mile) to the Doll’s House, or carry on downstream and enjoy the time saved as a layover day tomorrow (for the purposes of this itinerary, we’ll assume the latter - which most groups do). After checking in and snapping a few photos at the famous Cataract Canyon check-in box and accompanying sign, we’ll navigate several of the canyon’s early class III and IV rapids (Brown Betty, the North Seas, and several others). Our goal tonight is to camp at Rapid 10, which sets us up for an incredibly fun layover day on day 5! Making laps on layover day in Rapid 10. Day 5. Layover Day. Layover day at Rapid 10 is a day that many high school students have described as the most playful day they’ve had since being on an elementary school schedule with 3 outdoor recess breaks. The camp we stayed at last night (and will stay at tonight as well - thus the “layover”) is located right next to Rapid 10 - a series of tall, fun, and safe standing waves. Groups who are fortunate enough to layover at Rapid 10 generally enjoy sleeping in later than they have the first few days of the expedition, eat a leisurely breakfast, then begin making countless laps in pairs with our inflatable kayaks on their heads - repeatedly enjoying the exhilarating ride through the train of waves that make up Rapid 10! After lunch, those who are too tired to continue carrying boats might spend time sketching or painting the canyon, catching up in their journals about the first few days of our expedition, or playing beach games like bocce and kubb that don’t require boat carrying. Sleep well tonight - we’ve got the Big Drops coming up tomorrow! Day 6. The Big Drops. On day 6, we take on many of the canyon’s most famed rapids - including Capsize, Repeat, Powell’s Pocketwatch, and the legendary Big Drops. We’ll pull over to scout a few of these - learning to read whitewater and identify the proper line. The sense of accomplishment that comes with completing the entire set of Cataract Canyon rapids is palpable after we get through Imperial Rapid, and we are connected by shared pride and relief. Tonight is our last night camping on the river's edge - we’ll take advantage of some solo time as we compose a thank-you letter to the canyon, then enjoy a campfire before falling asleep once more under one of the world's best views of the night sky. Day 7. Dark Canyon and a very scenic flight. Today, we’ll motor to the mouth of Dark Canyon, then enjoy a half-day hike that will take us through some incredible geology to the tea-cup formations that moving water have carved into the canyon. After completing this 8-mile journey and returning to our boats, we’ll head for the take-out at Hite Marina. Our sadness that the river adventure is coming to an end will be alleviated by the group of small (5-7 seats each) planes awaiting to fly us directly over the Maze and Island in the Sky districts of Canyonlands National Park - back to Moab. We’ll get a bird’s eye view of the confluence, the Goose Neck, and the entire area we’ve just explored from within - offering unique perspective on just how big this place truly is. After arriving at Canyonlands Airfield in Moab, we’ll head north toward Grand Junction, CO - where we can clean up a bit, grab dinner in town, then camp together for one more night before driving home the next morning. Day 8. Travel back to Evergreen. Today, we’ll leisurely make our way back home. There is a sadness to being out of the canyon and off of “river time”, so we’ll be a bit gentle as we re-enter the hustle of everyday schedules. Generally, we make it back to Evergreen between 2-4pm. GOALS all-inclusive rates go beyond the unrivaled on-river experience. They also include all transportation (ground and air), lodging/campsites before and after the expedition, and all meals both on the river and on the road during our travel to/from the canyon. A detailed outline of all inclusions (gear, government fees, supplies, etc.) is listed below. Transportation from GOALS world headquarters in Evergreen, CO to Moab, UT at the beginning of the expedition and from Moab back to Evergreen after the expedition. ALL MEALS - from dinner on day 1 through dinner on day 8. This includes all meals on the road and in the canyon (7B, 7L, 8D) - and accounts for all dietary restrictions and preferences. No need to send kids with road money for anything other than snacks. Campsite on the Colorado River near Moab, UT on night 1. Transportation to the Canyonlands Airfield and to the put-in on the morning of our launch. All launch fees and government use fees for Cataract Canyon. 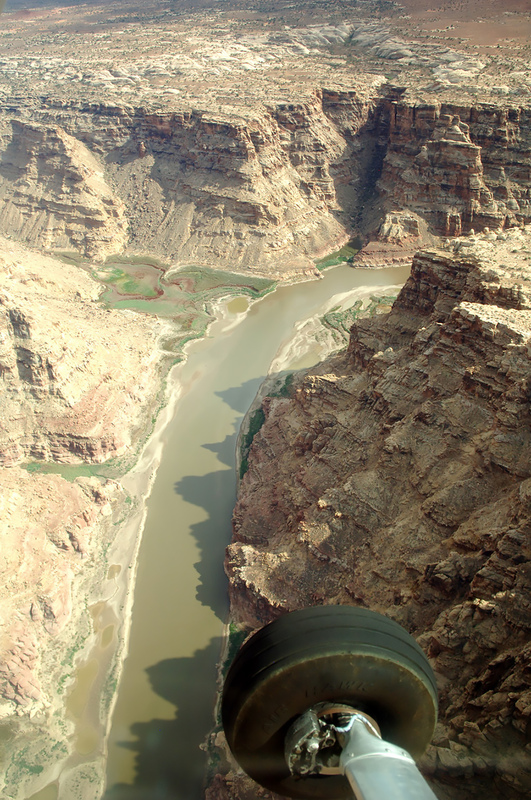 Scenic flight from Hite Marina on Lake Powell back to Moab at the conclusion of our river expedition. Campsite near Moab on night 7. A lifetime of memories made and lessons learned.